Planning a party can be both exciting and stressful. It is enjoyable to choose the where, when and how of a celebration especially if you are throwing it for someone special to you. It is definitely time well spent. Nevertheless, having to coordinate everything with everyone is more stress than anyone cares to bear. Between phone calls, emails and chat groups, it is easy to understand why people shy away from planning parties. Thankfully, partying in the Mile-High city can be such a breeze. Make it easier for yourself and the planning committee by renting a Denver party bus. Dragging more than ten people to several partying locations is a logistics nightmare. After the first bar, everyone is probably a little more than tipsy. Having to hail several cabs or Ubers after a few drinks would take twice as long. Having a Denver party bus at your beck and call eliminates all the hassle. You and your loved ones are chauffeured all night. From getting picked up at your own home to being driven home after a long night of celebration, convenience all the way. All that there is to do is to hop on, party while on the bus and party even more when you get to the next stop. Aside from being a hassle, having to call and pay for several cabs can add up. A $6 cab here, a $10 Uber there - eventually you have racked up a bill amounting to a week's worth of groceries. 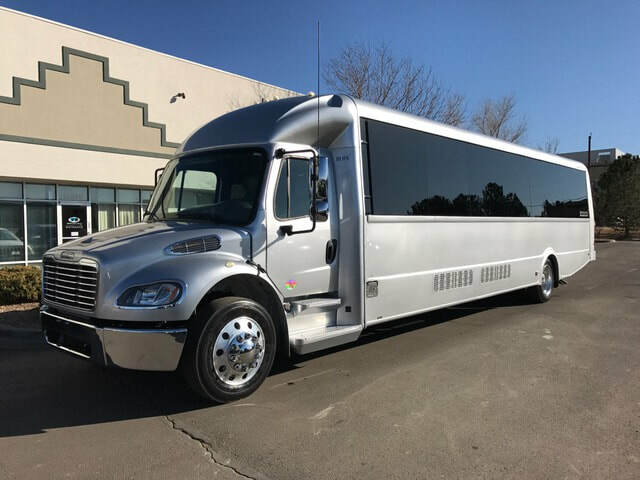 Even if you bring your car, the gas that you would spend driving around to several locations probably would add up to more than your share if your group rents out a Denver limo bus. Moreover, this service is more affordable than people assume. For less than $50 a person, you get a memorable night out on the town with the people you love the most. Isn't that priceless? Think back to the last time you went club hopping with your friends. While it was all fun and dancing at the club, getting from one to the other tends to kill the mood. These lulls are precisely when your body feels the brunt of all the partying and the alcohol. You are most likely to just go home in between clubs while on an Uber. With a party bus, the party continues while you are on the road. No lulls, no slow points in the night - you inevitably get the most out of your time and money. There are small things that most people forget when planning a party across several locations. Aside from the transportation to and from, parking is an issue often overlooked. Nothing puts a damper on anyone's partying mood than having to find a parking space at an overly crowded club. Having a chauffeur service for the night takes away the headache of looking for a spot to park. You get picked up where you were dropped off; it can be that easy! Partying almost always means having a drink or two.. or five. However, no matter how much you deserve to drink and celebrate, drinking and driving should never be an option. When you drink and drive, you endanger not only your safety but also the safety of other people around you. 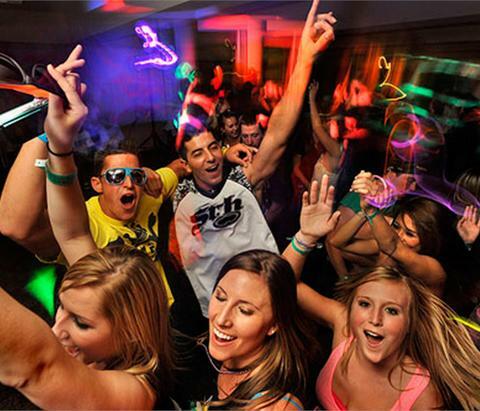 Denver party buses ensure that you and your friends remain safe throughout the night. Who says you can't party and be responsible at the same time? A good party bus company would be able to provide you with club and bar suggestions that would fit how you imagine the night to be. The best of your friends, free-flowing alcohol, good music, and a change of scenery - definitely a recipe for a night out you wouldn't forget. Getting picked up by a luxury limo bus just screams party! It truly sets the tone for the entire evening. If you are in charge of throwing a party, here is your chance to impress and kick everything off with a bang! And nothing says bang more than a luxury limo bus honking at your door. You and your friends deserve a spectacular night out. No matter what the celebration is, a party bus should be a no-brainer. Save a few bucks, ensure each other's safety, travel in luxury and convenience - all while partying the night away. Need we say more?